Five marine turtles species are found around the island of Tobago. Accent your home with this cozy square decorative pillow. 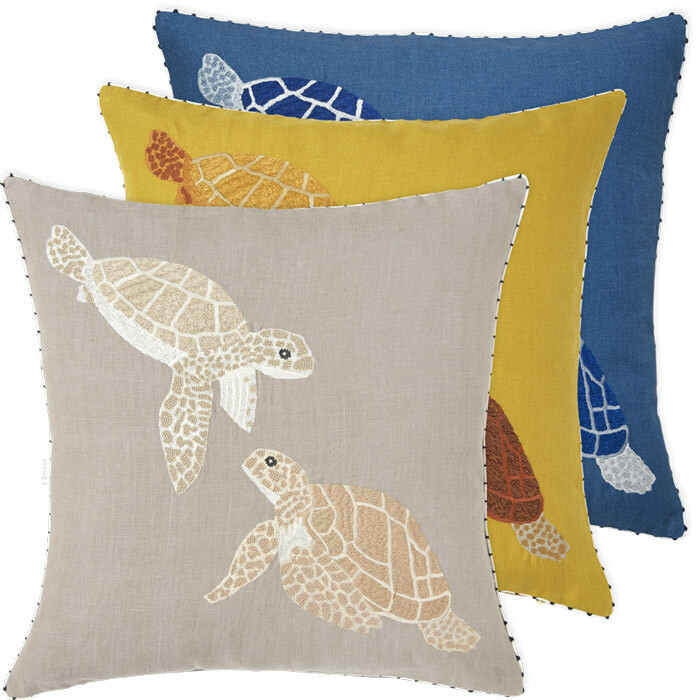 Tobago has captured in embroidery 2 turtles on a solid linen background, finished with a lively trim.